At a working meeting between the State Secretary in the Austrian Ministry of the Interior, Mag. 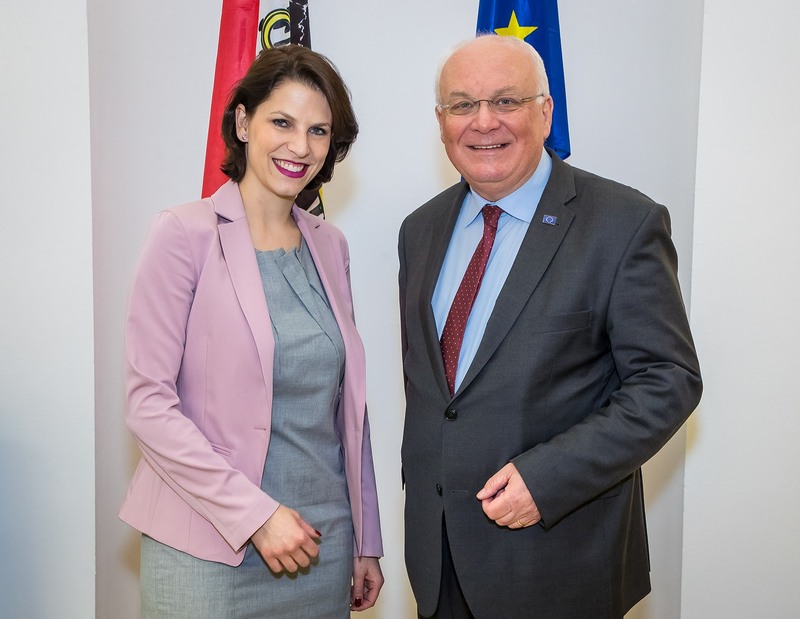 Karoline Edtstadler and IRE Chairman Dr. Franz Schausberger in Vienna focused on questions of the challenges of immigration and the refugee issue on the countries of the Western Balkans as well as on the topic “Mauthausen Concentration Camp”. Schausberger pointed out that we should not forget that the countries of the Western Balkans played a particularly important role in coping with the refugee problem on the so-called “Balkan route” and, first and foremost, the cities and towns along the route have taken heavy burdens. Above all, State Secretary Edtstadler especially wants to make it feasible that every student can visit the Mauthausen Memorial. Schausberger encouraged as a member of the Scientific Advisory Board of the “House of History Austria” a close cooperation with the museum.